The European Commission’s decision to ditch the Circular Economy package of waste, recycling and incineration laws, was confirmed yesterday (22 January), despite the objections of the EU Parliament and national environment ministers. Legal procedures to officially dump the legislation should be completed in the next couple of months, the Commission told EURACTIV. The confirmation came after Karl Falkenberg, the Commission’s Director-General for the environment, told MEPs at a Parliament committee meeting that the formal decision would take place in February. The Circular Economy package was intended to increase recycling levels and tighten rules on incineration and landfill. It consists of six bills on waste, packaging, landfill, end of life vehicles, batteries and accumulators, and electronic equipment waste. Commission First Vice-President Frans Timmermans told MEPs in December that he would consult with the Council of Ministers and the Parliament before formalising the move. The package would be re-tabled in 2015 and be “more ambitious”, he promised, as he announced a cull of pending legislation as part of a drive to cut red tape. MEPs in Strasbourg last week failed to secure a joint resolution of the full Parliament against the move, although a majority of them voted for individual amendments calling for the package to be saved. EU environment ministers have also signaled their support for the package, but there was no formal message sent to the Commission. ?“Some people are saying the waste package should be dropped,” said Kaspars Gerhards, Latvia’s Environment and Regional Development minister whose country holds the rotating EU Presidency. “The Council is very concerned about these rumours,” he told the Parliament’s Environment Committee on Wednesday (21 January). “And I would say most member states are willing to work constructively to find a common denominator for the waste package,” he added. While the Commission will withdraw the package, it will take the views of MEPs and ministers into account when tabling the new bill. It is keen to avoid the replacement legislation being blocked in either institution, sources told EURACTIV. Former Environment Commissioner Janez Poto?nik, oversaw the drafting of the original package. This week, he was awarded a leadership prize at the World Economic Forum in Davos for his work on the circular economy. “Let’s bring on the more ambitious proposal,” said the lead MEP on the package Simona Bonafè?, an Italian from the Socialists and Democrats (S&D). Will it increase targets and cover areas other than waste? If so, so much the better, she said at the Environment Committee committee meeting in Brussels yesterday. 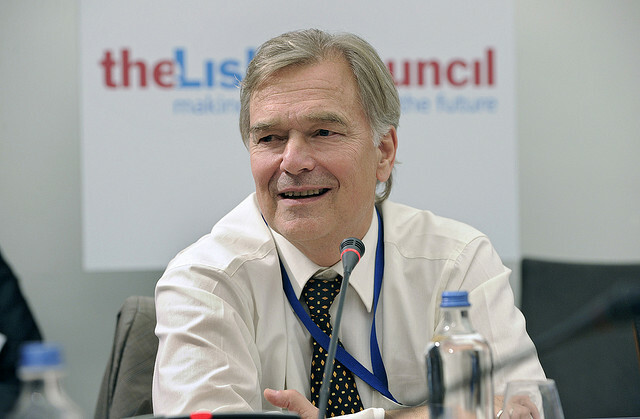 Karl Falkenberg, the top EU official who leads the Commission’s environment directorate, said he could not give them details as the work on the new proposal was just beginning. But he hinted that targets could be used to create infrastructure and facilities to discourage landfill. Legislation could encourage the use of materials that are easy to recycle to a high level of quality, he said. This would be a complete circle economy and not just focus on waste, as the ditched bill does. Poto?nik has rejected claims his proposal, adopted last July by the previous Commission, was not fully circular. The Commission would take the lessons of better regulation, making sure that proposed legislation makes it onto the law books, Falkenberg said. “I can’t take you much further on what else we would do,” said Falkenberg, beyond analysing the differences in member states and making proposals that are achievable by all 28 of them. Falkenberg, who worked on the original package, asked the MEPs to take Timmermans seriously when he said the new proposal would be more ambitious. The committee blasted the Commission for ditching the package and demanded Juncker, Timmermans and Environment Commissioner Karmenu Vella face it to explain themselves. They branded the decision a terrible start for Jean-Claude Juncker’s new executive. Timmermans made the decision to scrap the pending bill, drawn up under the Barroso Commission, to deliver “better regulation”. But withdrawing the package was a signal to EU countries that they could miss, for example, landfill targets and robbed investors of the certainty they need to back projects, MEPs said. Karl Heinz Florenz, also EPP, said he needed a Valium to calm down. The EPP is the largest group in the Parliament and is Juncker’s party. “I can’t remember any file being so controversial. Why isn’t the Commissioner here? He is well paid enough, why isn’t he here?,” raged the German MEP. If he was the CEO of a major company, Vella would be sacked for his non-appearance, he said. There had been four years’ work on the package and 20-30 studies, which Timmermans probably hadn’t read, Florenz added. MEPs blamed big business lobbying for the decision to withdraw and re-table the pending legislation. The package of waste, recycling and incineration laws was on a hit list of bills to kill off, sent to Timmermans by trade association BusinessEurope. MEPs such as Belgium’s Mark Demesmaeker, for the European Conservatives and Reformists Group, said he doubted the new package could be delivered to the Commission’s timetable. MEPs warned the delay would cost jobs and growth. The last Commission had said the package would create €600 billion net savings, two million jobs and deliver 1% GDP growth. Groote said it was a “smack in the face for investor confidence” and was already harming much needed investment. Pavel Poc, a Czech S&D member, added, “If the political leadership of the Commission want to concede to the pressure of those who do not innovate and do not invest […] just say it out loud. “I haven’t heard one single valid argument to withdraw the Circular Economy package,” added Gerben–Jan Gerbrandy, a Dutch member of the liberal ALDE group. In what was later confirmed to be a futile plea, Danish Green Margrete Auken said she wanted Juncker to change his mind. “The noble art of losing face, will someday save the human race – please tell him [Juncker] that,” she told Falkenberg, whose experience was compared to going into a bullfight without a cape by the committee’s chairman. Filippo Brandolini, CEEP Executive Vice-President represented public service providers at a public hearing on the Circular Economy Package at the Environment Committee. He said, "The Circular Economy package is an important step towards a more circular economy in which resource efficiency becomes the key driver for both economic growth and environmental protection in the European Union. CEEP embraces the Circular Economy package as it represents an outstanding opportunity to realize the objective of an even more sustainable economy. For CEEP, managing waste means managing resources. “The Circular Economy Package underlines that it is not about choosing between the prevention of the environment on the one side, and growth and jobs on the other, but about achieving benefits in all these fields. Commission First Vice-President Frans Timmermans was been given a mandate from new Commission President Jean-Claude Juncker to cut red tape and deliver “better regulation”. He told MEPs in December that he would consult with the Council of Ministers and the Parliament before withdrawing and re-tabling the package. Withdrawal is easily understandable. And a circular economy package could easily be far more ambitious. You just change the 2 things that defined the approach of the withdrawn package; the waste focus and the regulation-by-targets. 1. Circular economy has a handy clue in the name; it’s about what you do in the economy so that waste dumping to ecosystems is designed out. This is achievable by simply extending producer responsibility into the normal function of markets. 2. One small piece of regulation could institute circular economy throughout the EU, and beyond, without any targets, prescriptive top-down solutions or new taxes. The method is highlighted as a pioneering ‘big idea’ in this recent report on international best practice case studies for governments going circular. All we need is for the EU to be open to new ways to solve old problems.